Living Below the Line: How Do People Get Enough? Life balance is still a work in progress for me. I'm still looking for a way to structure my time at home more productively. If I can be more disciplined in accomplishing what I need to do at home first, then I can enjoy experimenting in the kitchen more without regret. 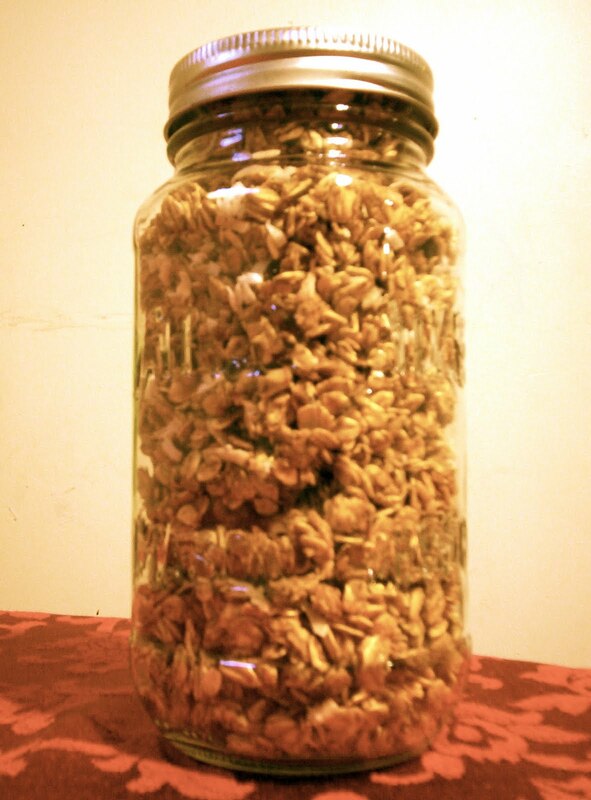 While I have taken a break from posting here, I am actively sharing recipes at my other blog, Swirls and Spice. Keeping things simple and affordable have remained important values for our family. 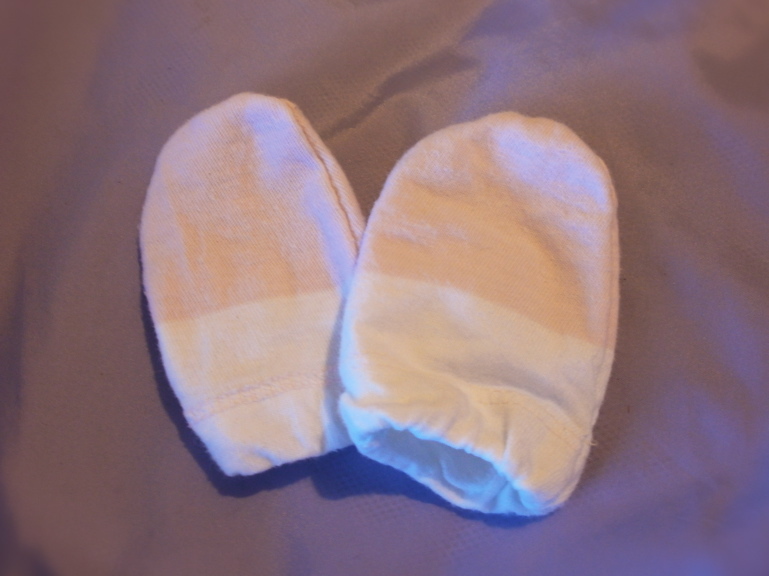 Last week, though, I was challenged to put myself in the shoes of those who have to live on even less. Have you heard of the Live Below the Line Challenge? 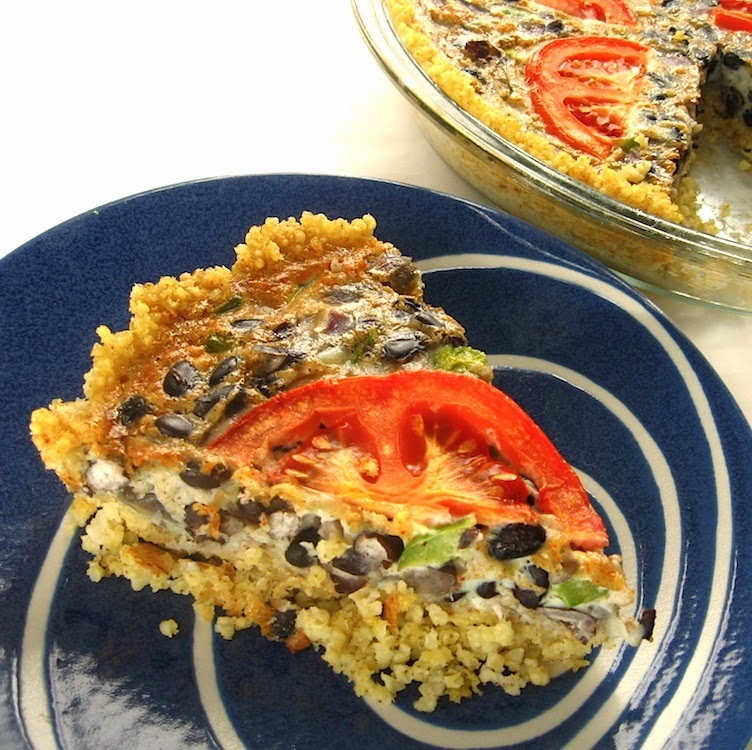 In keeping with the spirit of the challenge, I developed a Mexican Frittata recipe. Would you care for a slice? The cost came in at just under $1.00 per serving, which I think is an excellent value, considering how nutrient dense the frittata is. And it was delicious too! And yet if I was allotted just $1.75 per person per day, that would leave only $0.75 left for two more meals. This would limit our options to things like a peanut butter sandwich for lunch ($0.50) and oatmeal for breakfast ($0.25). Adding a banana for some fresh fruit ($0.30) would put me over budget. Even with the fruit, the food would offer only 915 calories for the day, about half the amount needed for a school-age child or adult. So how do people with limited resources manage to feed their families? Food banks, it seems, are part of the answer in Canada and the U.S. Because try as I might, I can't see how to nourish my family of six on $10.50 CDN a day. Could you do it? 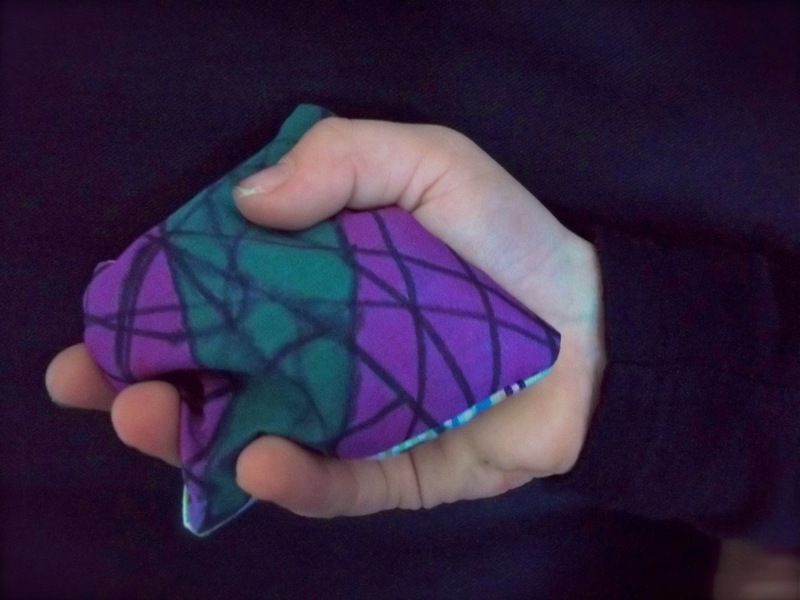 What if instead of rushing out the door to shop on Black Friday, more families stayed home and made some gifts and stocking stuffers for each other by hand? Here are some lovely possibilities that just might help your budget and help your family slow down and prepare to celebrate what truly matters. 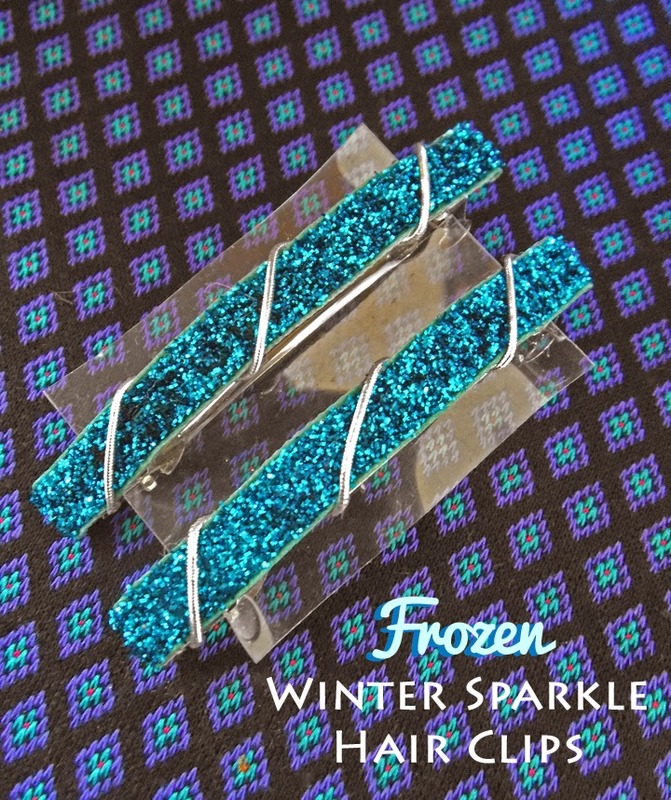 For any girl who loves the movie, Frozen, these sparkling blue hair clips are sure to bring a smile of delight. We made these as part of a Frozen-themed birthday party gift for a friend. I can't wait to see her reaction to this homemade gift! 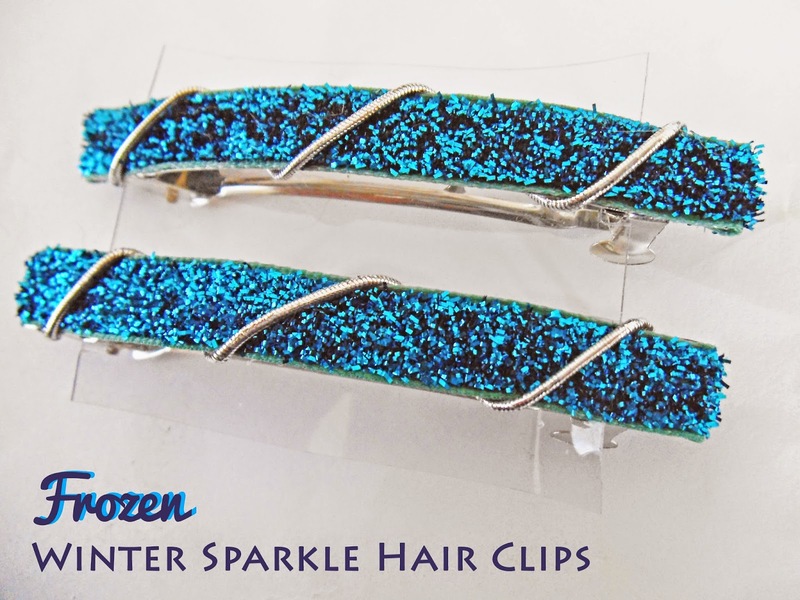 These Frozen Winter Sparkle Hair Clips would make great stocking stuffers for girls too! Cut sparkle ribbon long enough to cover the metal barrettes, with enough extra to wrap under each end. Lay the ribbon on the barrette and wrap the silver cording around both the ribbon and the barrette. Make sure the clip is open and the cording does not interfere with the clasp mechanism. Tie the ends of the cording and trim. Hot glue the ends of the ribbon over the tied cording, which should be hidden on the underside. I'm sharing this project at Savoring Saturdays this week. I have experienced being a stay-at-home parent in three different countries--Vietnam, the United States, and Canada. My journey into parenthood began in Vietnam. I left my work as a foreign English teacher to stay at home with my daughter, who was born in 2003. At that time I was already a cultural outsider, since I was an American expatriate woman living in a mono-cultural Asian society. Choosing to be a stay-at-home parent has become counter-cultural in many parts of the world, but in places like China and Vietnam, hardly anyone sees staying at home as a realistic choice. It is simply not done anymore. After maternity leave, every other Vietnamese woman I knew went back to work. I, on the other hand, was free to stroll around, learning the language and the culture better, as I interacted with others when I was out and about. And my blonde-haired, blue-eyed baby girl was an instant conversation starter. I was also blessed with the company of several other new expatriate moms in my city who were parenting abroad for the first time. However, I mostly parted ways with my educated Vietnamese female peers who had been my teaching colleagues. They continued to teach, leaving their children in the care of older family members or paid caregivers. In 2006, we returned to America, with two children in tow. We were blessed to come back to a familiar church that was full of college-educated stay-at-home mothers. They reached out to me, and I was encouraged by our time together. I was not the odd one out within that urban community. And I could see examples of other parents who were further along the journey in having one parent opt to stay home to raise a growing family. Some opted to educate their children at home too, and I wondered if that was the more devoted path to take. Then we moved again, to Nebraska, where we started out knowing no one. I immediately sought out a MOPS group to join, before we even settled on a church to attend. And once again I found a place to belong and grow as a mom. IS ONE INCOME REALLY ENOUGH? Yet it also seemed like almost all of the other moms were trying to earn extra income somehow. And with a husband in graduate school, it seemed like I needed to work at least part-time too. 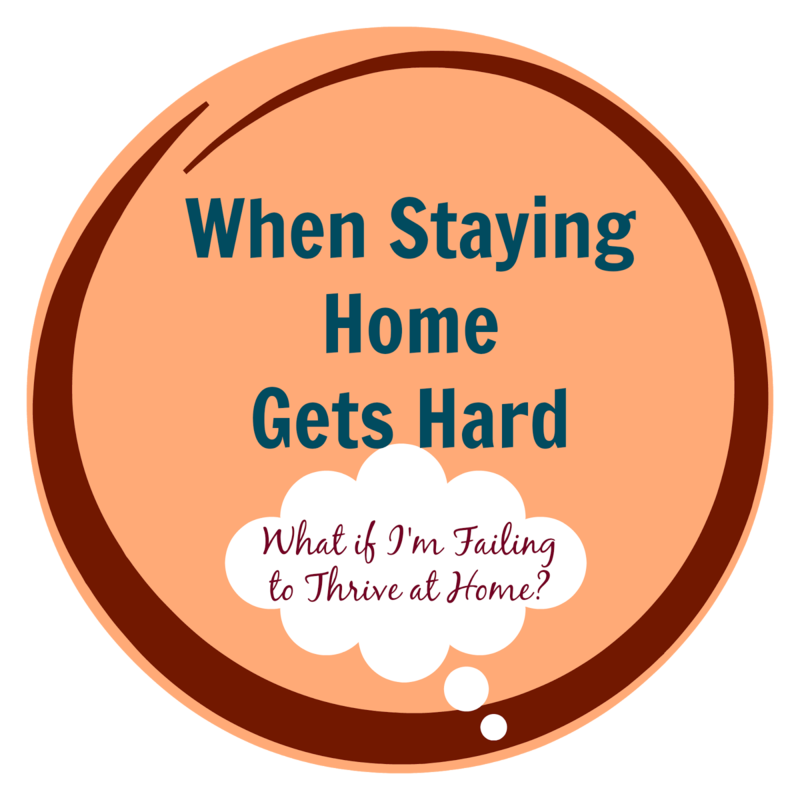 I tried writing articles from home to earn a little extra, but multi-tasking is not my strength, which is one reason I wanted to stay home and focus on my children to begin with! Then an opportunity to teach an English class came up, and I dove back into teaching, which I loved. But it didn't have such a good effect on my family life. I tend to focus intensely on one thing at a time, and I allowed that to shortchange my sleep and in turn, our family life suffered. So that season of dropping the kids off with their dad for a few hours ended for the most part, except for an occasional substitute teaching gig, which again left my family feeling that they were less important than the class I was covering for an hour or two. Eventually I stopped substituting as well, and we took out a student loan for the last year of my husband's education so that he could focus on finishing while I was with our children at home. SHOULD STAY-AT HOME MOMS ALWAYS HOME SCHOOL? It was also during this time that I became more acquainted with the growing Christian homeschooling community. And due to my tendency to compare and question our family's choices, I started to think maybe I was "less-than" as a mother because I was sending my kids to school. Because maybe just staying home with my children was not enough. I should be their teacher too. It makes staying at home more legitimate--noble even. Wow, look at those amazing home school moms! And they are doing an incredible amount. I commend those who do it well. On the other hand, in one group I met a few women who seemed trapped. As if they couldn't not home school. If they stopped homeschooling, they would be failing their children and their family values somehow. So several of them, it seemed to me, were simply soldiering on without joy, some with the help of anti-depressant medication. And I wondered if the two were linked. What I mean is they felt like they had to stay home and home school their children, even if they no longer wanted to or thought that they were doing it successfully. And that seems like a recipe for discouragement, possibly leading to depression. Perhaps I am also projecting some of my own experience onto their stories, but I don't think I am entirely off the mark. 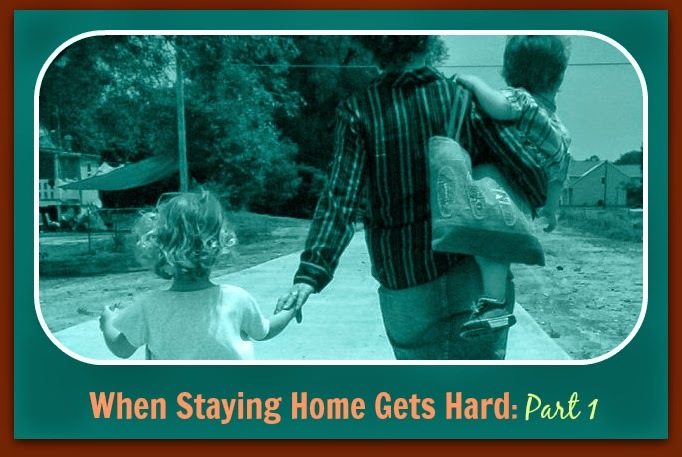 Because even though I don't home school, I have begun to feel like I have to stay home, whether I am successful at it or not, while the kids are young. And yet I am surrounded by women who opt to spend their days working outside the home, some because they feel that they have to bring in more income, and many because they want to. Staying home can be lonely. One's efforts often go unappreciated and/or are too quickly undone. In a workplace, one gets camaraderie, appreciation, and financial compensation! Things get done and stay done much longer than they do in a house full of six people. AM I DOING MY JOB WELL ENOUGH TO KEEP IT DOING IT THIS WAY? So in many ways I feel like the easier option would be for me to work outside the home. There are very good odds that I would be successful at it. That is what my education and experience for 20-some years prepared me to do. But I don't want to regret missing time with my kids. At what point, though, does my failure to thrive as a stay-at-home parent merit reconsidering the decision? That is the hard question my husband and I keep coming back to. And I still don't have an answer. or work outside the home? 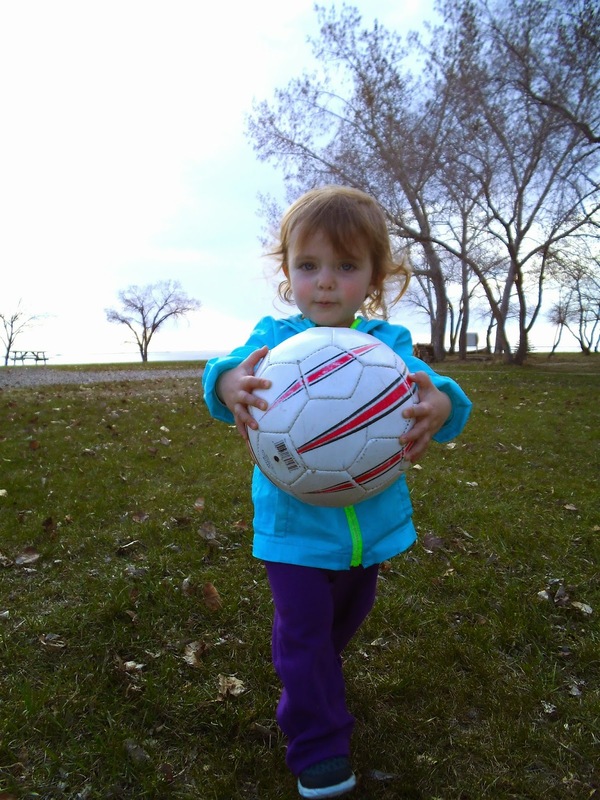 When I came across a list of 20 indoor ball games, I was excited to try them. One problem though--no ping pong balls. So we improvised instead. 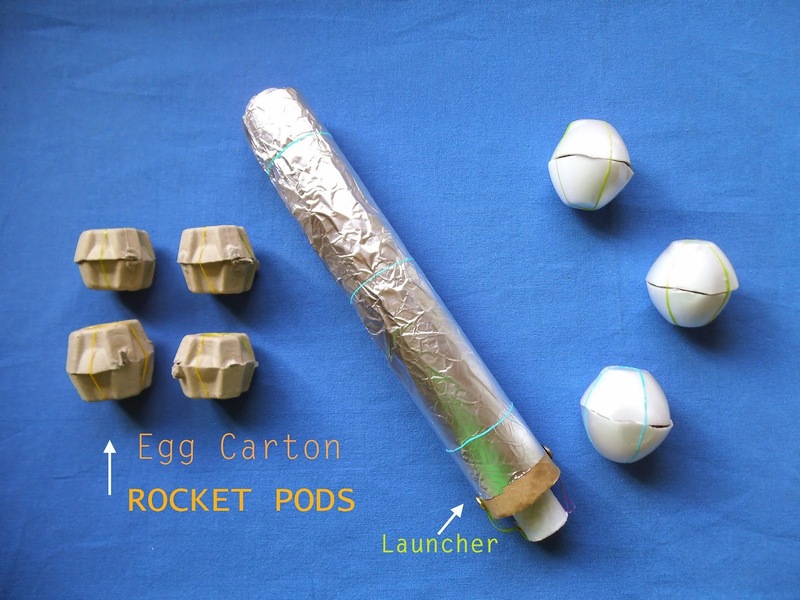 I cut egg cartons apart and made "rocket pods" using rubber bands (hair elastics, actually). Then we used more elastics to make a cardboard tube launcher. It had been a while since I'd done a crafty project outside the kitchen, and I think I had as much fun (or possibly more) with this toy as anyone! The rocket pods reminded me of the escape shuttles I had seen recently in the movie Guardians of the Galaxy. My kids may not be quite ready to see the film yet, but we can still have some space-age fun together! 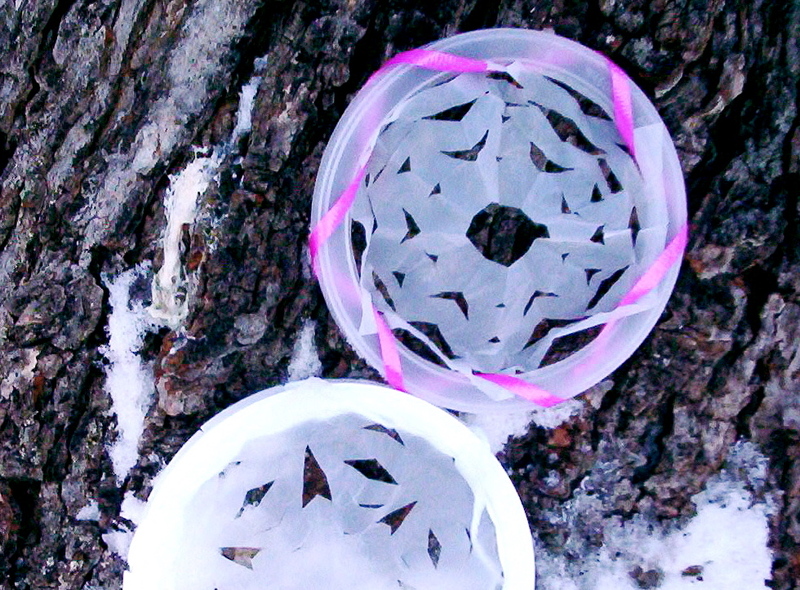 Cut apart egg cartons to form cups. Stuff two cups with the plastic from half of a grocery bag. Secure the halves together with two rubber bands. 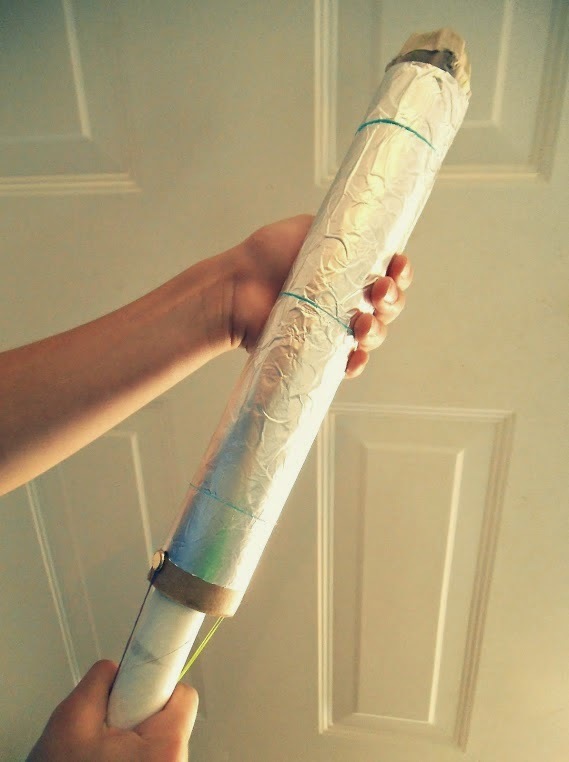 To make the launcher, poke holes across from each other in one end of each cardboard tube. Put the brass fasteners in the holes of the larger tube. Thread a rubber band though each hole in the smaller tube and form a secure loop. Put the samller tube inside the larger tube and attach rubber band loops to the fasteners. 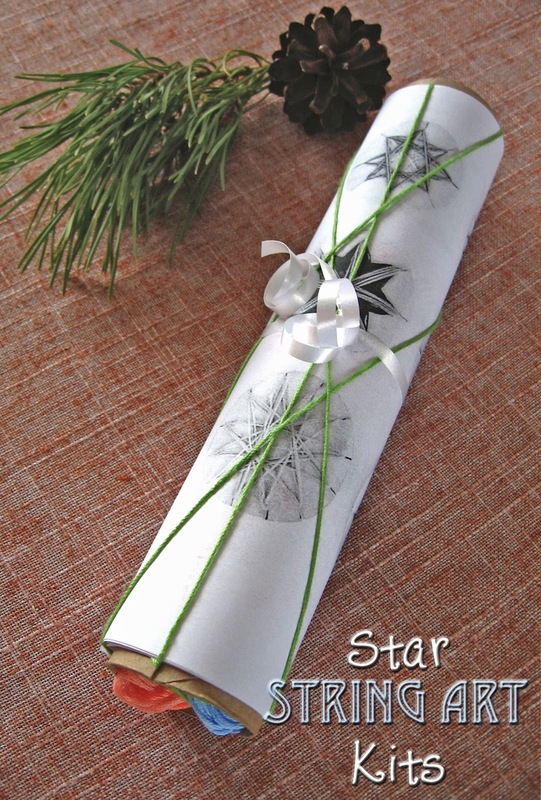 To decorate the outer tube with silver foil, wrap with foil and secure with three rubber bands. To launch rocket pods, pull the inner tube back to stretch the rubber bands. Balance a rocket pod on the other end, aim the launcher, and let go of the inner tube "trigger." I like to share ideas here. New discoveries awaited us on our 6,000 mile road trip last month. Our trip covered the states of North Dakota, Minnesota, Wisconsin, Illinois, Indiana, Ohio, Missouri, Oklahoma, Kansas, Iowa, and a brief jaunt to Ontario (to sign real estate papers). We certainly experienced America afresh, since we had become accustomed to the flatter landscape and fewer options where we live in Saskatchewan. After crossing the border into North Dakota, the kids loved mixing their own soft drinks with the new custom soda machines at restaurants. Peach Sprite was their top pick. We also discovered how challenging it can be to find accommodations for a family of six. The mid-range motels often worked best for us because we could get a suite for less than the cost of two rooms. Maybe some day we will take on the challenge of camping, but our childhood memories tell us to proceed with caution. As we made our way across the midwest, we enjoyed seeing some of the World Cup soccer matches. I was impressed to encounter so many soccer fans in Columbus, Ohio. Unfortunately it was difficult to find radio broadcasts of this worldwide sports phenomenon when we were in the minivan (which was a lot). Do Americans really love baseball so much? I guess I was oblivious. 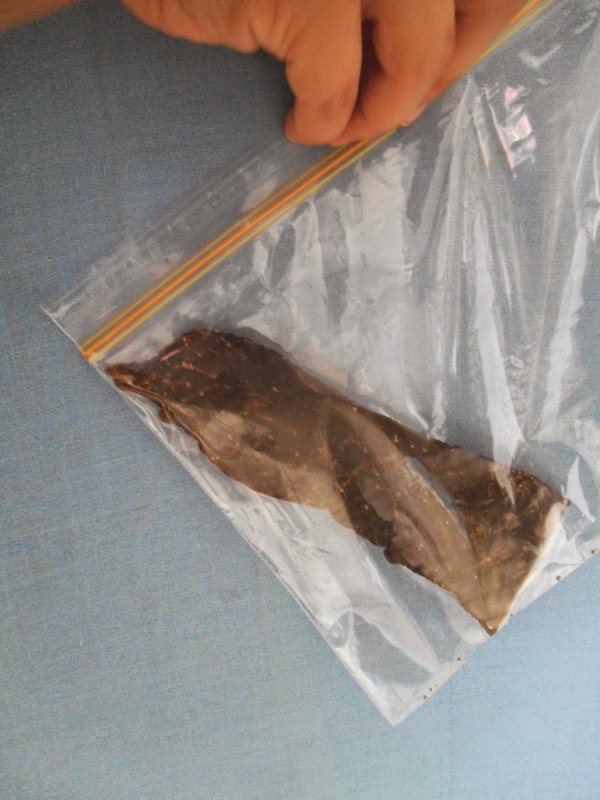 One practical thing that worked well for us was buying high-quality meat jerky as a protein snack on the road. It helped us make it beyond the next highway exit when we wanted more options for where to stop and eat. Being the exotic meat aficionado that he is, my husband bought kangaroo, ostrich, bison, and venison jerkies. No Slim Jims for us. 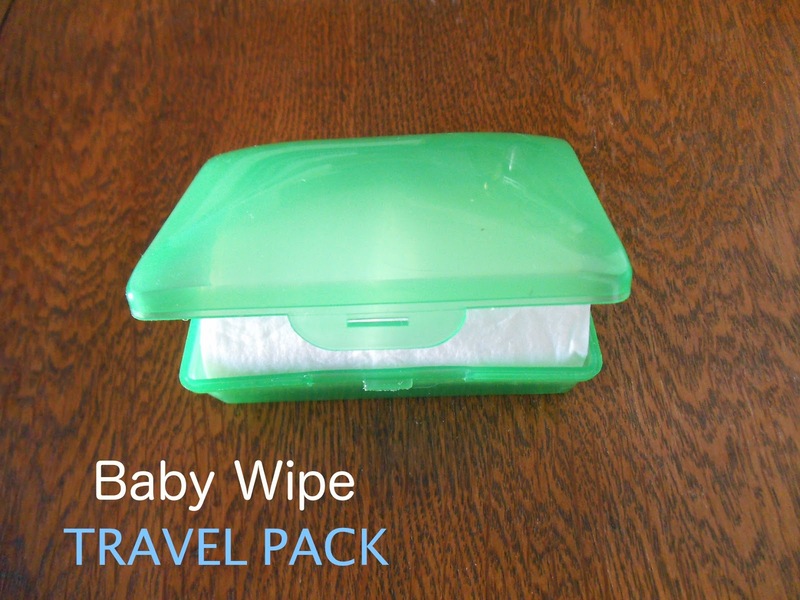 While searching a big box store for a travel container for baby wipes, I was astonished to find that a zippered case travel wipe pack cost nearly four dollars ($3.77 I believe it was)! Nope, not gonna do that. But I needed a container that would find in my purse--without robbing me of so much cash. It took time to search and ponder what to do, but I settled on a refillable green plastic soap case that cost less than a dollar. It served us well throughout the trip! En route to my parents in Oklahoma, we thought it would be fun to stop at one of Missouri's caves. We avoided the steeper prices at the caves you see advertised on billboards. Instead, we had a wonderful tour of Fisher's Cave, which was less flashy and more scientific. Just what we wanted. As an added bonus, the motel at Meramac State Park offered us a more affordable (spartan) room that slept six. Getting off the interstate a few miles was definitely worth it for us. In Oklahoma, we visited a park I remembered enjoying as a girl with my parents, Red Rock Canyon. 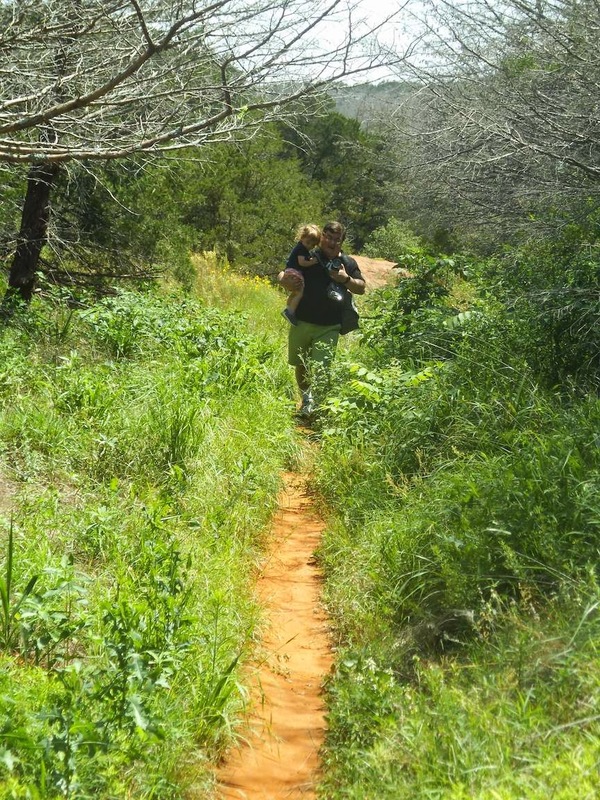 Even my two-year-old now has memories of our adventures hiking and swimming there. I am so glad we went, and thankful that the weather was not too hot to consider spending time outdoors. We were thankful to connect with family and friends we had not been able to visit in three years, and many got to meet our youngest daughter for the first time. What's more, we celebrated a golden wedding anniversary for my parents-in-law and the wedding of our oldest niece. It was an important trip, but not a vacation per se. My husband and I returned to Canada feeling like we needed to get away more often. Even if it's just to the nearest larger city in our our province. Refreshment needs to happen. 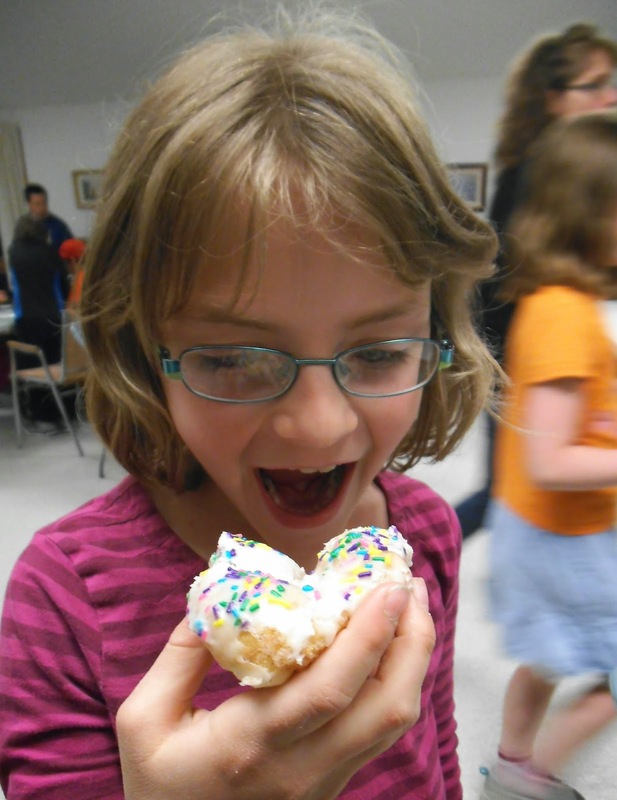 We got a taste of it at family camp in May, which was helpful. But we are nearing the end of summer wishing for more. What do you consider to be the difference between a trip and a vacation for you? This post may be linked here. 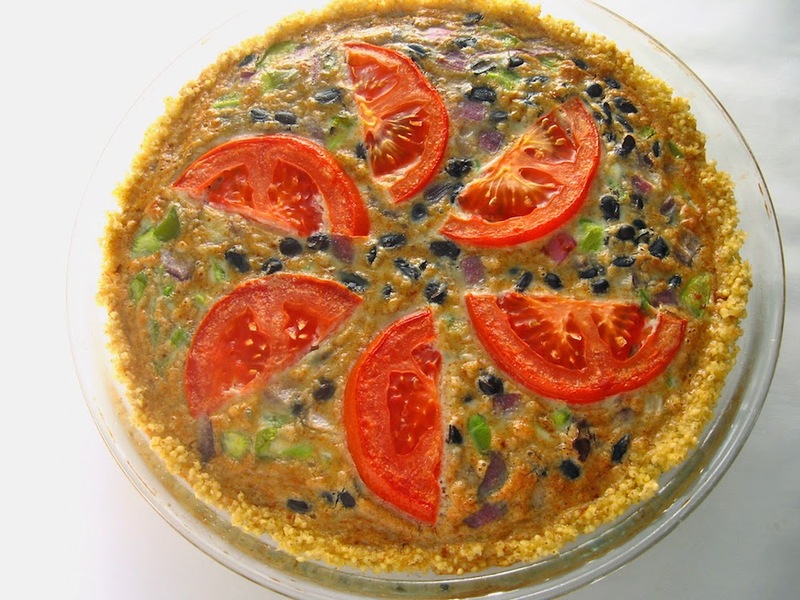 Creamy Sweet Pea Salad - Always a favorite! Tapas-Style Deviled Eggs - These eggs are deliciously different! Mango Lemon Bars - Delightful and healthy and gluten-free! Looking for more ideas? 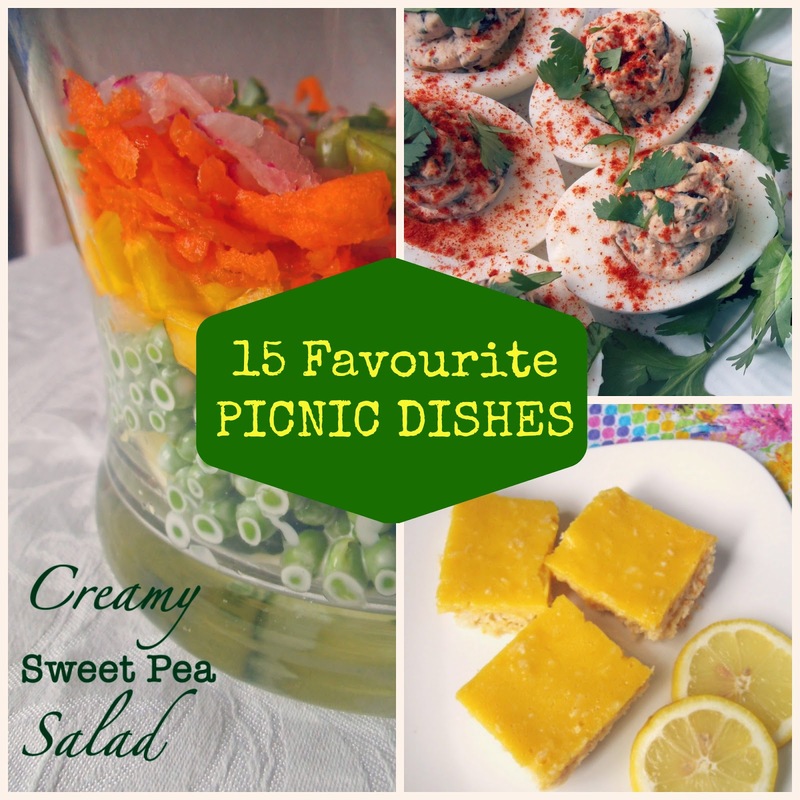 There are 12 more of my favorite picnic dishes featured at Swirls and Spice this week! I have good memories of going off to summer camp as a kid. But my own family hadn't had a chance to go away to a camp until this past weekend. And I'm so glad we went. Here are three reasons why. Where we live the land is flat and not particularly interesting. 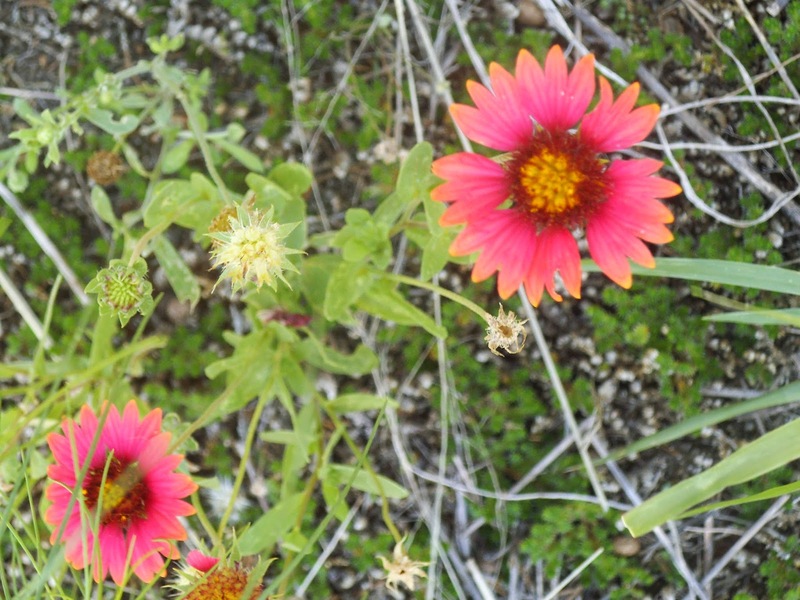 There are no lakes, rivers, or ponds in our community, nor are there many flowers around, even after all the snow melts. So it was lovely to enjoy the view at the water's edge and see the green hills of the Qu'Appelle Valley on our way there and back. 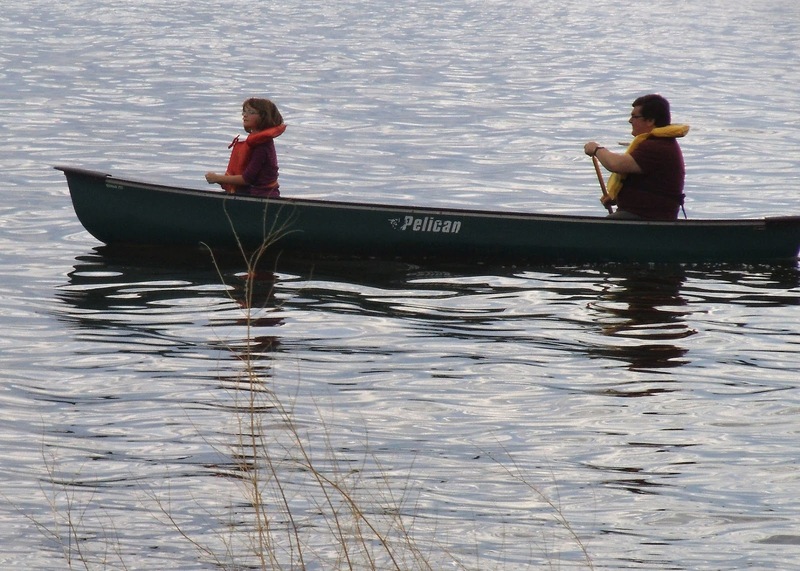 I spent many hours roaming the grounds with my youngest daughter and skipping rocks at the shoreline of the lake while my other children explored and collected rocks and shells. I was unsure what to expect from the dining hall. Memories of camp food from my childhood did not inspire me to expect much. However, the volunteers at our camp made some fantastic meals and evening snacks for us. 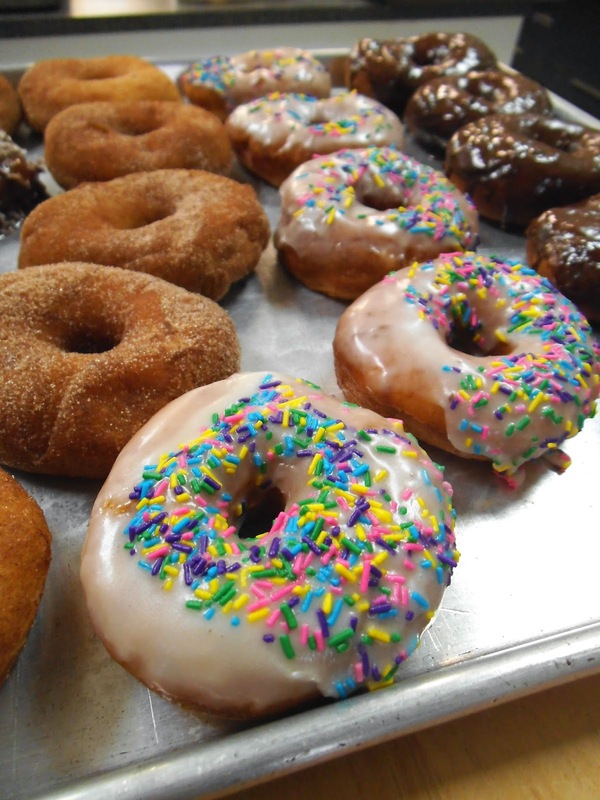 The highlight was fresh donuts. Move over Tim Horton's. Eunice makes some of the best in the country! The best feature for me and my husband was that our kids were not always with us. Not only that, I was free from my household responsibilities like preparing meals and doing laundry, while my husband was able to leave his job responsibilities at the office for the whole long weekend. So we relished the opportunities to listen to Bible teaching twice a day while our children were engaged elsewhere in the children's program. And there were other moments to sit and talk when our kids were busy playing and running around the campground. We came back truly refreshed. Do you have a favorite spot you like to go for getaways? 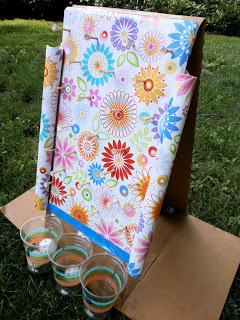 I'm sharing this at the Pintastic Pinteresting Party and Thrive at Home Thursdays. 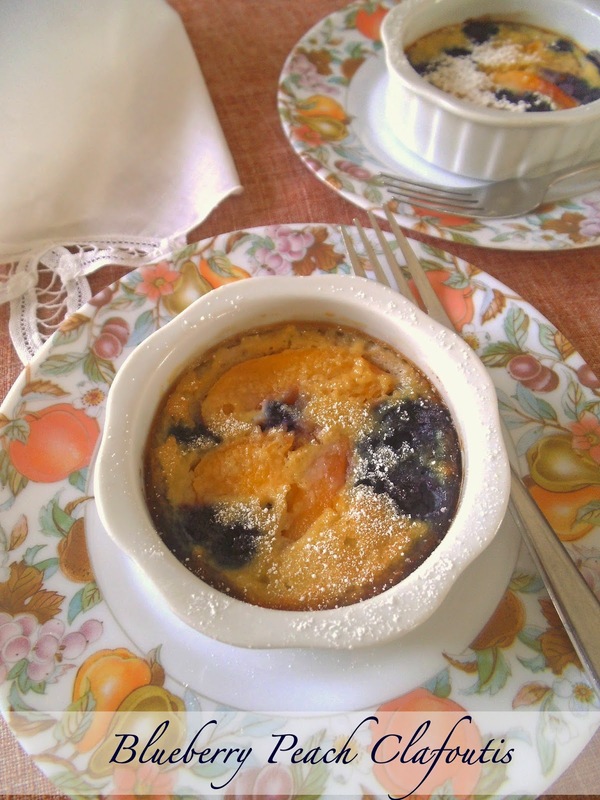 3 Recipes Featuring Blueberries to Eat, Drink, and Celebrate! 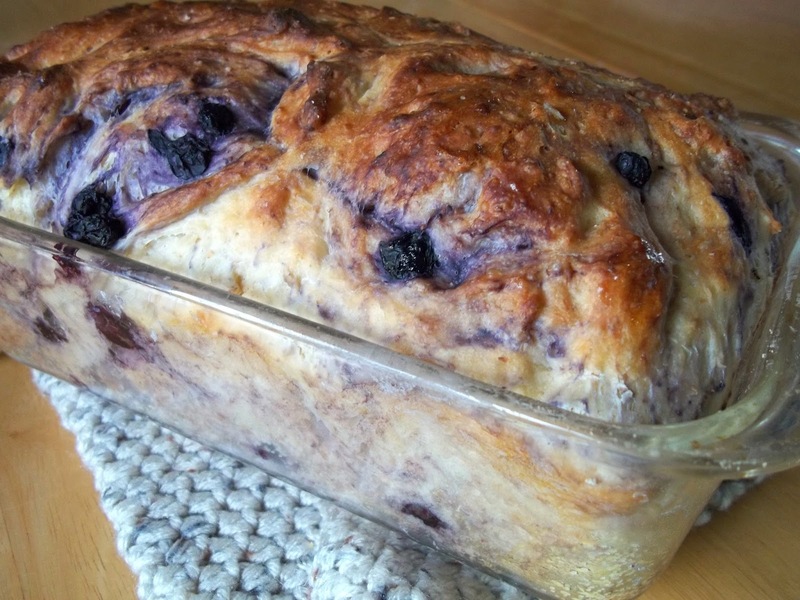 Blueberries might be the secret to my grandfathers' long lives. And I've had the privilege of picking wild blueberries with one of my grandpas, who is now 97 years old, when I was young. 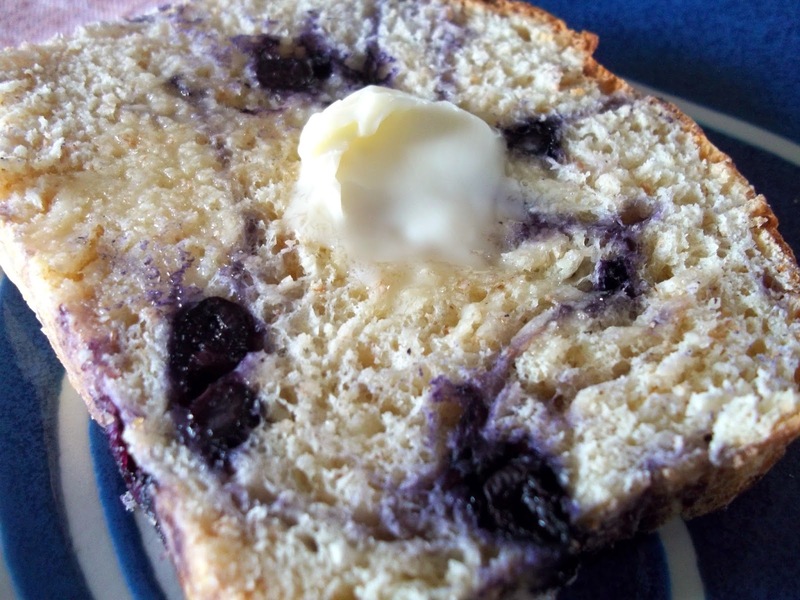 I think I might have even used a tin pail like in the book Blueberries for Sal . Or perhaps I used an empty ice cream bucket. In any case, the fresh berries were marvelous! A burst of color is what we need as we await the beauty of spring that is still yet to come. And with some Jolly Rancher candies and our oven, we made a lovely suncatcher in the shape of an Easter egg. 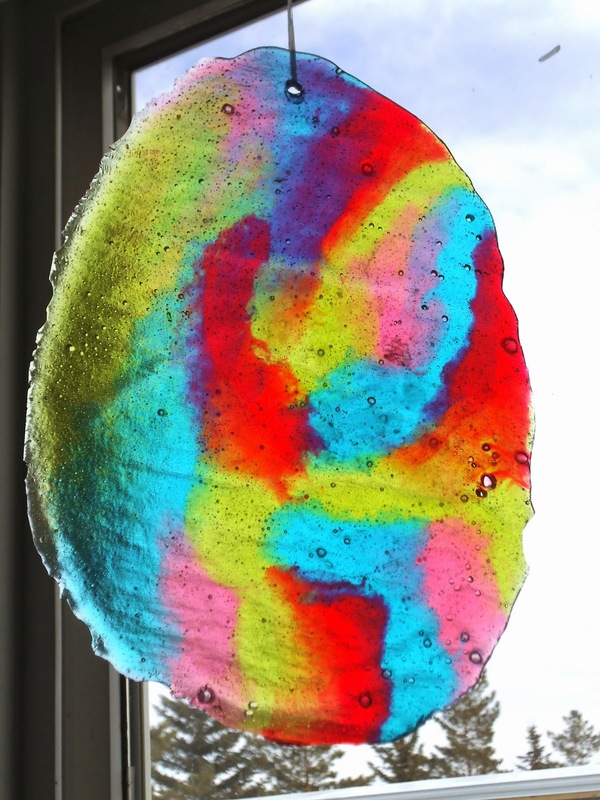 It now hangs in the window, catching rays of sunlight through the translucent colors to brighten up the kitchen. 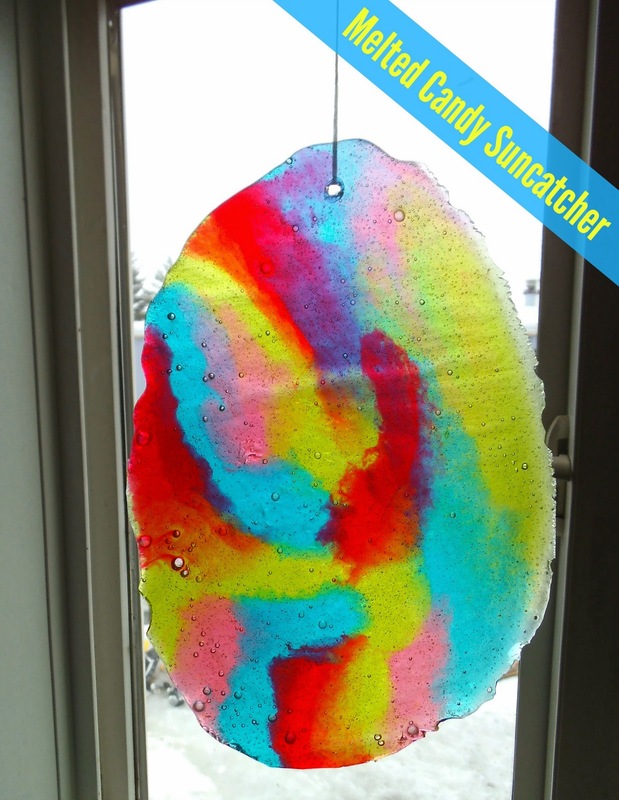 It's easy to make your own suncatcher by melting hard candy. Here's how. Preheat the oven to 275 degrees F (140 C). Line the baking tray with parchment. Arrange the candies on the parchment in an eye-pleasing roundish shape. Bake for 8 to 10 minutes, or until the center is melted flat. 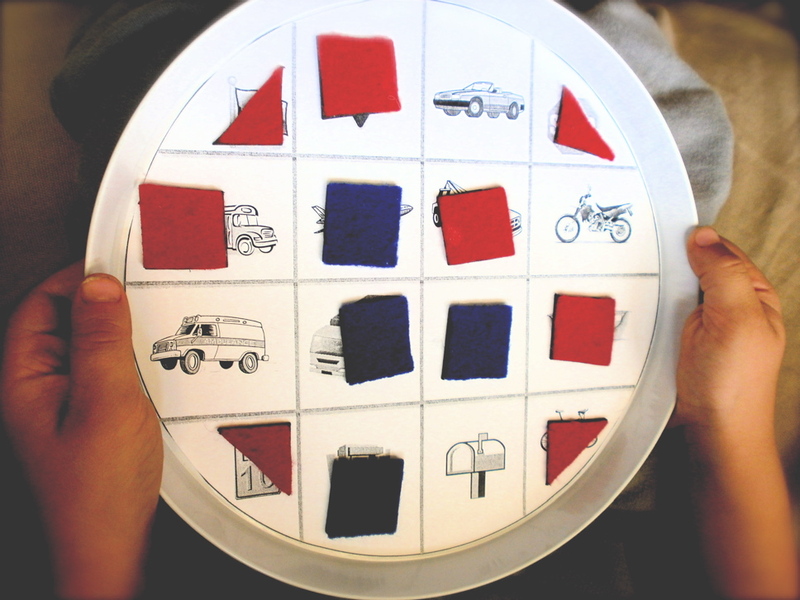 Tilt the warm tray to swirl the colors a bit and to even out the shape. Allow the disc formed to cool. 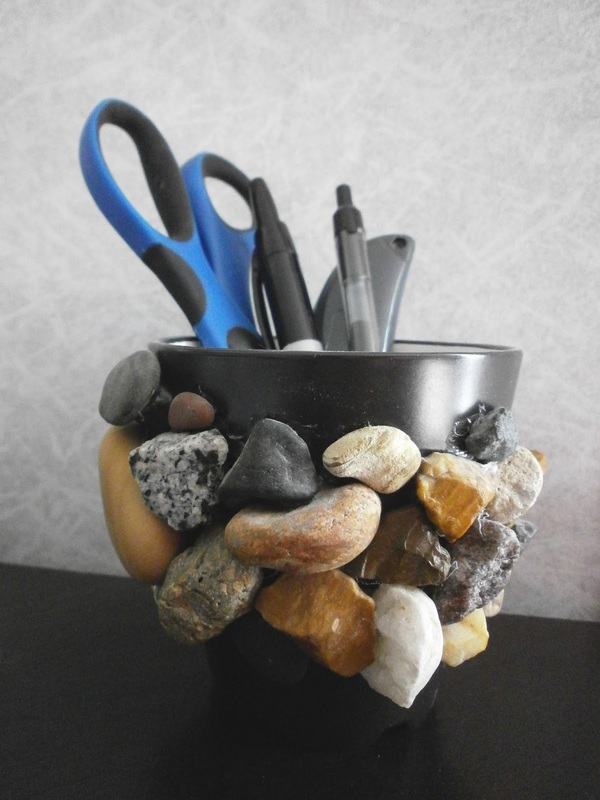 Trim the edges with a knife or break off small shards to even out the edges somewhat. Heat the pointed end of the metal skewer over a stove top burner and puncture a hole near the top of the disc. Allow the edges of the hole to harden before threading with floss or ribbon. Hang up your suncatcher near a window. I might be sharing this idea here.